Easy-Go offers an exclusive range of waste disposal services in E14 Poplar and surrounding areas to remove any amount of unwanted waste from small to large areas at ease. We, at Easy-Go, has a main mission is to cater all the needs of our clients with reliable and eco-friendly waste removal services. 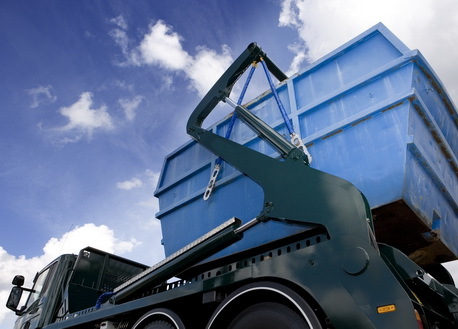 Our waste management program includes removing unwanted junk and waste using an extensive range of skips, roll on/roll off and grab lorry. We, at Easy-Go, own a wide range of 4 yard to 40 yard sized skips to satisfy our customer's waste management requirements in a fastest and cheapest manner. Easy-Go offers a league of accredited skip hire services in E14 Poplar and the surrounding areas. Skips at Easy-Go can be easily booked 24X7 on all weekdays with same day or next day services in a short time span. It does not matter how many skips you will be hiring, we always make sure that waste removal process is carried out in a safe and secure manner. From household yard clearance to disposal of industrial waste, our skip hire services and waste management services can make your surroundings clean and tidy. Call us on 020 3598 2242 or email us at info@easygoskips.co.uk to hire professional and affordable skip hire throughout E14 Poplar and nearby areas.